Dr Anna Dabrowski is the Director of Education and Evaluation at NESLI, and a senior facilitator and coach across programs within WLA. Anna works with participants in higher education, special education, and women and leadership contexts. 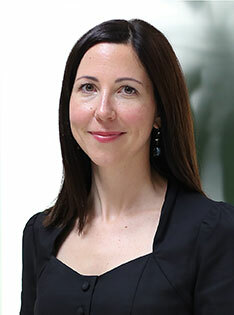 Anna is also an honorary researcher at the Melbourne Graduate School of Education, and a Lecturer in the School of Languages and Linguistics, both at The University of Melbourne. As a researcher, Anna works in the area of adult learning theories and professional development for educational leaders, with an interest on the impacts of wellbeing and gender on leadership. Anna has more than 15 years of experience as an educator in Australia, Argentina and Germany. Anna has experience teaching in both international and national school settings, as well as tertiary institutes and specialised language schools. Anna has extensive knowledge of international systems of education, inclusive education, gender and leadership, and the role of leadership in promoting student engagement. Anna led the evaluation of the Australian Professional Standards for Teachers, commissioned by AITSL, and has consulted extensively for the International Baccalaureate. Anna recently completed her PhD in Education, and examined the ways in which Australian schools support student diversity. She also holds a Bachelor of Arts/Education, a Master of Applied Linguistics, a Master of TESOL and a Master of Education (Research), and is currently studying for a Diploma in Psychology. Anna speaks English, German and Spanish, and has published in the areas of education, linguistics and educational evaluation. She is also a regular presenter at both international and national education conferences and school leadership forums. In her free time, Anna likes to travel with her two young daughters and husband, while chasing the elusive dream of work/life balance.